DM - Clinical Pharmacology, MD - Radio Diagnosis/Radiology, M.B.B.S. 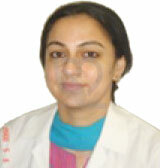 Dr. Anjani Kaul, MBBS, MD (Radiodiagnosis), DM(RD), is Head of the Department of Imaging/Radiology at Alchemist Hospital, Panchkula. Prior to joining Alchemist, she has worked in some of the elite hospitals of India such as, Tata Memorial Cancer Hospital, Mumbai; Jaslok Hospital, Mumbai; Regency Hospital, Kanpur (UP). Dr. Anjali Kaul has completed her MD & DM(Radiodiagnosis) from the prestigious Tata Memorial Cancer Hospital and Research Centre, Mumbai. With a rich experience of 16 years under her belt, she is an expert in CT guided procedures, both diagnostic & Therapeutic.